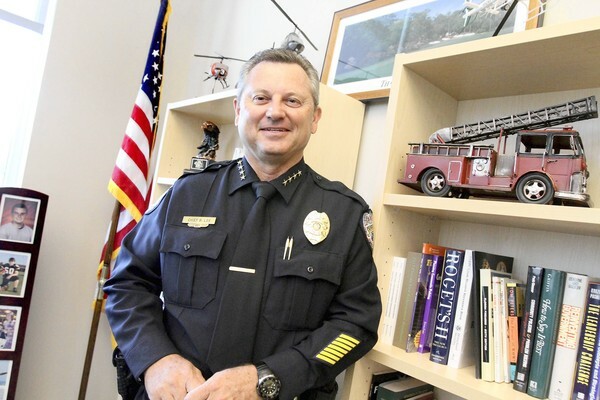 Sanford City, FL Police Chief Billy Lee thought he could spare George Zimmerman from a murder charge for killing an unarmed Trayyon Martin. Hey, the kid was Black and don’t “they” all look threatening? Many, if not most Americans following the tragic story of the murder of 17-year-old Trayyon Martin by an armed neighborhood watch captain, know all too well that the incident is a reflection of the kind of racial profiling African-American males are subjected to everyday. Had the shooter, George Zimmerman shot an unarmed white teen holding nothing but a can of soda and a candy bar, he would have been arrested on site before the victim’s body was even removed. But in the world of southern good-old boys who look after each other, Sanford City’s white Chief of Police, Billy Lee thought he could spare the Hispanic Zimmerman from jail by invoking Florida’s “Stand Your Ground” law that gives armed citizens the right to shoot anyone they perceive as threatening. If you need any further evidence of what was running through Zimmerman’s mind, just consider this statement he made to the 911 operator he was communicating with at the time of the incident: “I’m sick of these people always getting away with it.” Oh really George? What people might that be? What are “they” getting away with? ABC News is reporting today that last night, the Sanford City Commission issued a vote of no confidence in Police Chief Billy Lee. Regardless of they personal loyalties to this man, they know that their city is taking a beating in the court of public opinion. The no-confidence measure described Lee’s investigation of the event as “deeply flawed.” It will now be up to the Sanford City Manager to determine Billy Lee’s fate. Never mind keeping his job; in light of public outrage over this incident, one can’t help but wonder if there’s a place in this country where Billy Lee will ever feel safe.